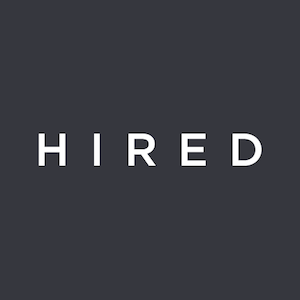 Hired.com, a marketplace for top engineering talent and employers to come together for recruiting purposes, needed to add engineers to their marketplace. An in house marketing team was unable to use paid Facebook ads to drive qualified leads, as 95% of all leads are rejected from joining the marketplace to keep the quality of candidates high. Hired.com entered a performance based marketing contract that only paid Metric Digital for leads that became approved candidates and for candidates then becoming placed at employers. 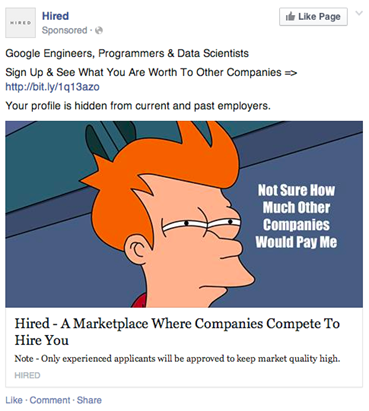 By layering on targeting for Employers, Job Titles, Geography, and Interests, with creative that communicated directly with the niche being served the ad (humorously in this case), the Metric Digital team were positive in ROI from day 1. Metric Digital turned Facebook from a failed channel for paid user acquisition into an 8 figure in spend channel that drove Hired.com’s growth more than any other paid channel. 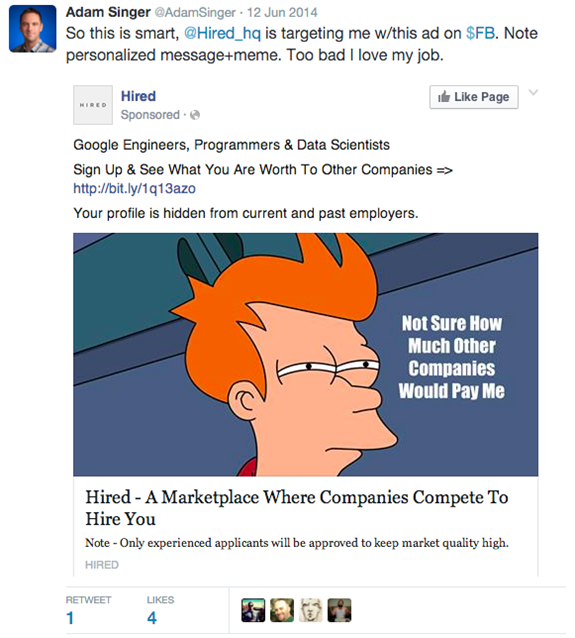 Facebook became the #1 source of high quality leads for Hired.com and Hired.com even hired one of Metric Digital’s leads internally. The strategy implemented by Metric Digital kept the CTR’s (clickthrough rates) high, the CPC’s (cost per click) low, and increased conversion rates to an unprecedented level. After Metric Digital’s success with Facebook for Hired, Metric Digital was hired to run Paid Search and Display for Hired as well, scaling those channels to unprecedented levels. 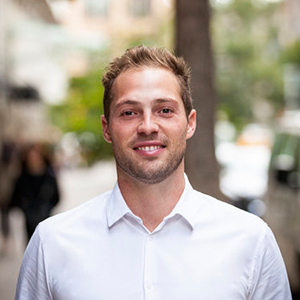 Hired.com used Metric Digital’s marketing services while transitioning from a seed round company to a $40MM Series C Round. To get in touch with us, contact us here. Marketing Inception: Frame The Narrative of Your Paid Campaigns to Waste Less and Convert More Are you paid ads telling the right story? Is your brand missing out on new customers because of an inaccurately framed message? Questions CEO’s Should Ask Their Marketing Teams To Fuel Business Growth Even if business is going well, the role of any top company executive is to seek out areas of improvement. To probe and to challenge the status quo, even if it’s contrarian. Agencies Are Dead, Long Live Agencies As the Big Four Agencies show signs of weakness, the next wave of nimble, results-oriented agencies are rising to drive innovation, growth, and profitability for your brand.